The 2017-18 Sacramento Kings season is just around the corner. Media Day is set for Sept. 25th with training camp beginning the following day at the team's practice facility. Plenty of players have spent the summer in Sacramento honing their skills, but the real work begins when the entire squad hits the court together. Dave Joerger and his staff have a daunting task in front of them. Not only will they welcome 10 new faces to an overhauled roster, but five of those players have never stepped foot on an NBA court. Calling the team youthful is an understatement. Outside of the veteran core of Garrett Temple, Vince Carter, Kosta Koufos, Zach Randolph and George Hill, the team is green and lacks experience. Carter and Randolph played for Joerger in Memphis, which should help. They also boast a combined 35 seasons of NBA experience and can act as player/coaches in certain situations. Joerger and his staff have five rookies to manage and another four first rounders from last season. He'll bring back his entire coaching group from the previous campaign - Elston Turner, Brian Gates, Duane Ticknor, Bob Thornton, Jason March and Larry Lewis. Sacramento also added local product, Phil Ricci, as an assistant player development coach. It's a robust and diverse crew with plenty of knowledge. Most of the coaches came with Joerger from Memphis and have long standing relationships. 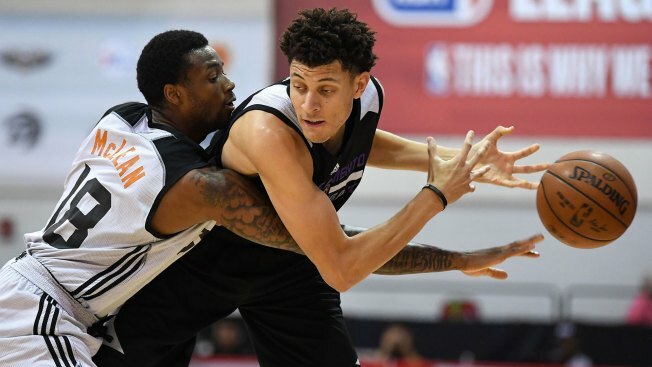 March gained valuable experience with the young core this offseason when coaching the Kings' Summer League team in Las Vegas. Darrick Martin is back for a second season as the frontman for the Reno Bighorns as the team continues to build synergy between the parent club and the G-League. The Kings will rely heavily on Martin as they shuttle players like Georgios Papagiannis and Harry Giles back and forth between Reno and Sacramento. This is Year One of the rebuild. With a youth movement comes the need for extra staffing and a cohesive approach. At some point, the Kings need to choose a path and stick to it when it comes to coaching. They currently have the infrastructure in place to bring along a young team, but stability is key when building a roster in this fashion. Sacramento has paid plenty over the last few years for coaches who are no longer employed by the team. Joerger is different than most of their previous hires. He's coached a high-quality playoff team and has high expectations for his club. He's also worked his way through the minor leagues and spent six seasons as an NBA assistant. He understands how to develop talent and he's found success at every level. Joerger is entering the second of three guaranteed seasons in Sacramento. With a complete franchise reboot, including the trade that sent All-Star center DeMarcus Cousins in February, it's probably time for the Kings to revisit his fourth-year team option.